BELLEVILLE – The OPP’s Repeat Offender Parole Enforcement Squad is looking for a wanted criminal who is known to frequent Belleville. 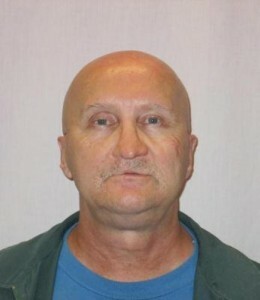 The OPP is asking for the public’s help in locating 62-year-old Reginald Bull. He was on parole after having been jailed for second-degree murder and assault with a weapon. Bull is five feet, eight inches tall and 148 pounds, and has a tattoo of two roses on his left arm. Police say he is known to frequent Peterborough, Belleville and Toronto. Anyone who has contact with Bull or has information on his whereabouts is asked to contact the Provincial Repeat Offender Parole Enforcement Squad at 416-808-5900 or Crime Stoppers at 1-800-222-8477. People are urged to call 911 if they see him.